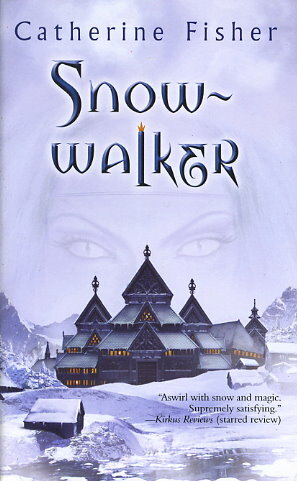 THE SNOW-WALKER RULES THROUGH SORCERY AND FEAR. Since Gudrun came from the frozen mists beyond the edge of the world, the Jars people have obeyed her in hatred and terror. But the enchantress has one weakness: a son, Kari, banished to a forbidding fortress in the north, never seen by the Jarl's people. In secret they wonder: Are the rumors true? Was he born a monster? Now Jessa and her cousin Thorkil have been exiled to the north, and if they survive the journey, they will find the truth: Is Kari a beast? Or the means to stop the sorceress?